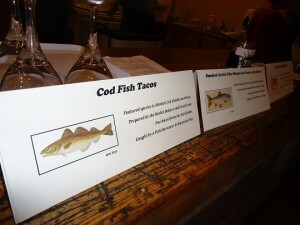 TBTI in partnership with the Ecology Action Centre (EAC) (ecologyaction.ca), the Food Security Network (FSN) of Newfoundland and Labrador (foodsecuritynews.com) and Slow Fish Canada (www.slowfish.ca) organized a “Slow Fish - Light Bites” event on Wednesday, October 2, 2013, at The Rocket Room (www.rocketfood.ca) in St. John’s, Newfoundland and Labrador (NL), Canada. The aim of this initiative was to introduce the ‘Slow Fish’ concept to NL and to discuss the importance of accessing local sustainable seafood in the province. It also aimed to raise public awareness about the key role small-scale fisheries play for society and to support sustainability of small-scale fisheries in NL. To read more about this event, click on Slowfish2013 report_31October2013.